Information may change without notice. 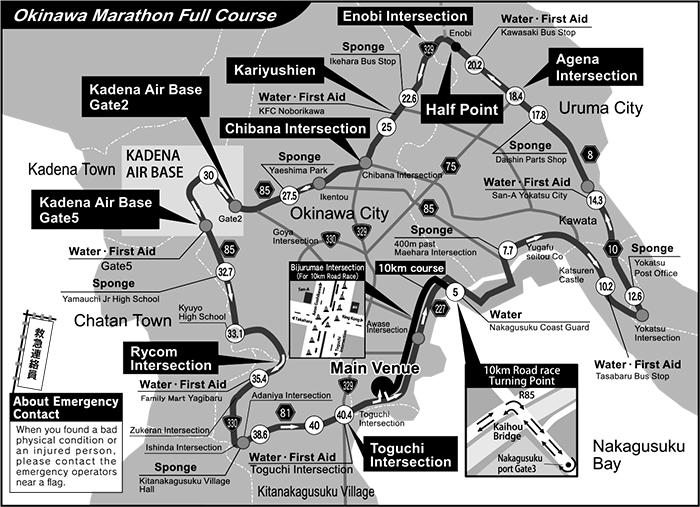 Please check again before the marathon day. 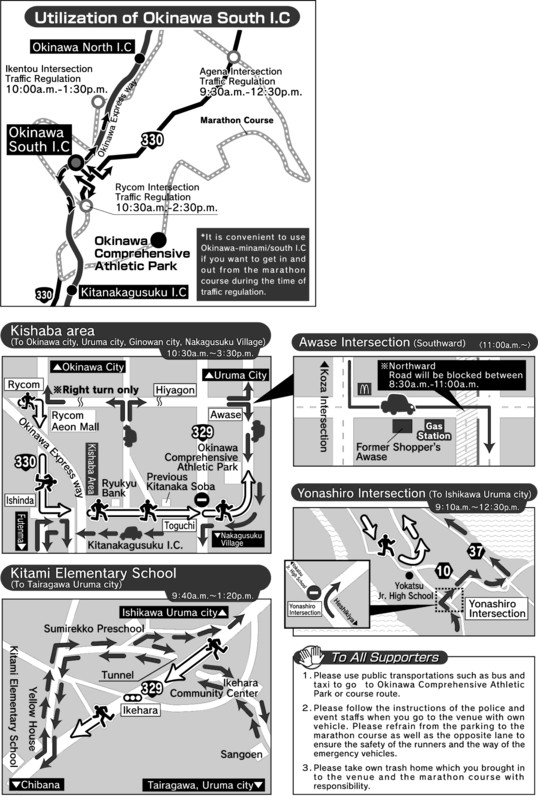 Please use public transportations such as bus and taxi to go to Okinawa Comprehensive Athletic Park or course route. 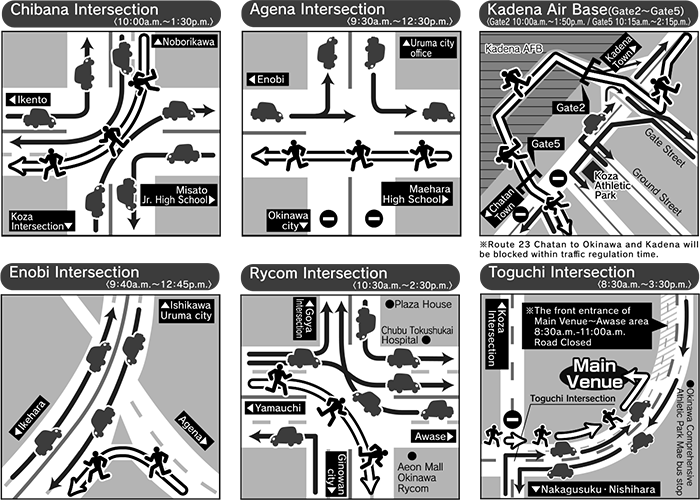 Please follow the instructions of the police and event staffs when you go to the venue with own vehicle. Please refrain from the parking to the marathon course as well as the opposite lane to ensure the safety of the runners and the way of the emergency vehicles. Please take own trash home which you brought into the venue and the marathon course with responsibility.